Have you ever felt gloomy, depressed, too revved up to sit still or to fall asleep? Have you ever felt overwhelmed or too stressed to enjoy life in general? Well, there’s a spray for that, and it uses some tried and true ingredients that should really get those tight, crooked, overly hunched shoulders a chance to loosen up so you can stop to smell the roses. How does this spray work you may ask? With the use of powerful essential oils of course! 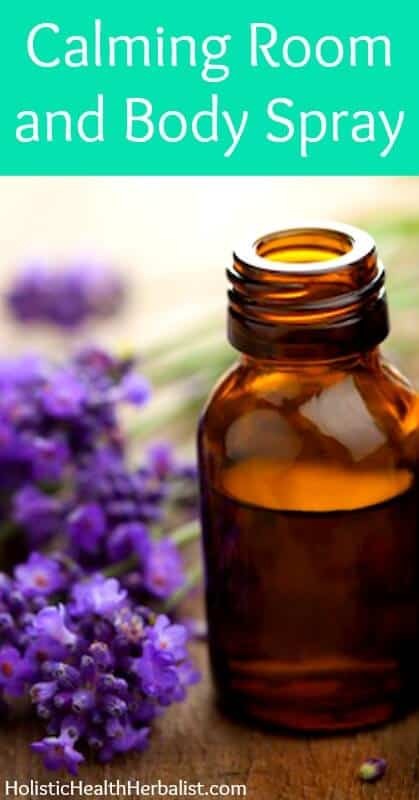 Let’s put it this way, the smell of essential oils stimulate a section of our brains called the Limbic System- aka the area of the brain that controls emotions. Once the Limbic System is stimulated, it releases serotonin and endorphins which help us feel happier and more relaxed. The essential oils that I like to use have intensely therapeutic properties and are wonderful to use in a spray and even in a diffuser (I have really loved this one ). I personally like to keep a bottle of this stuff and an easy to reach location like on my nightstand so it’s easy to spray linens before bed. I also keep one in the living room to use a lovely air freshener. Life’s challenges can sometimes get the better of us allowing stress to run rampant. This spray is like a burst of sunshine that cuts through grumpiness, anxiety, and depression. It’s a cheerful blend that will uplift and brighten even the gloomiest of moods, so it’s perfect during the winter months or even just when you need a boost on a lousy day. Feel free to add more essential oil to the mix to reach the strength that you prefer. • Add all of the ingredients to the spray bottle and shake well before each use. • Be careful not to spray linens with spray recipes that use dark colored oils or you might stain your sheets! • Have fun with it! Essential oils are really fun to learn about!